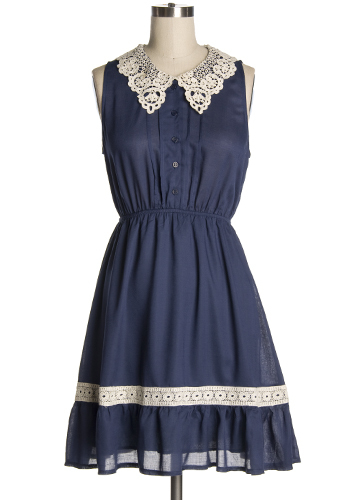 I’m waffling on whether or not to add this dress to my wardrobe. I like the cut and colour, but I’m unsure about the fabric which consists of 70% polyester, 27% rayon, and 3% spandex. Any thoughts? 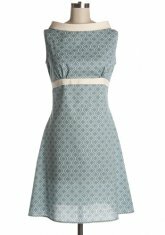 The Blue Lagoon Dress is on Dress911 for $52.95 CA. Pretty, eh? 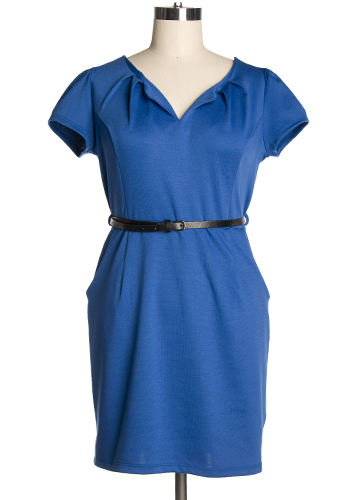 The Fifi Dress in Blue Gazebo, $88.95 CA on Dress911. I would be totally wearing this to my cousin’s wedding… if only… The sizes on this dress range from the small to extra-large and only the small is available. I’m more than a little top-heavy but I love the ’60’s vibe, cut of the dress, and the colour. The small darts under the bust would probably help me look more balanced chest-wise. I’m always surprised what discrete tucking and darts can do to help me look less large-busted.